Interwetten Casino will then reward you with a bonus (Welcome Bonus is for new players only). The terms and conditions of the bonuses vary between different casinos and might also change over time and between different countries, so it is important to compare the different offers and read the T&C for Interwetten Casino before signing up. Interwetten casino is something special. What it boasts above all is that it powers all of its Live Casino games using its own studio software, which is not something many an online casino can declare. 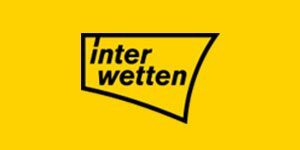 With a longstanding reputation of over 20 years, Interwetten Casino has driven online gambling to new heights. Offering a comprehensive portfolio of diverse types of games, and copious amounts of those, may we notice, this online gambling venue has an elegant and potent feel to its look and offering. Holding the license issues by Malta Gaming Authority, Interwetten Casino vouches for trustworthiness, fairness and reliability, and it is protected by the latest SSL encryption. To reinforce the internationality that it supports, the website, and everything on it, is fully available in the following languages: Croatian, English, German, Italian, Portuguese, Spanish, French, Greek, and Turkish. Furthermore, Interwetten rewards you for your loyalty, so it definitely pays to stay. Interwetten Casino prides itself on a strong software provider team that powers its lobby. Among the giants, you will find the offering from Microgaming, NetEnt, NeoGames, Cryptologic (WagerLogic), GreenTube, iSoftBet, Quickspin, Playson, GameArt, and Pragmatic Play. Quite a bunch, isn’t it? Amazingly, they make sure that all recently released games are added as soon as they go live, so the library steadily grows both in quality and quantity. Interwetten Casino offers an abundance of everything and we particularly enjoyed its slot library. A plethora of titles are at your disposal, from classic titles to new, branded names like the Osbournes slot and Spider Man revelations slot. Featured are also massive titles designed by Microgaming, NetEnt, Quickfire and CryptoLogic such as Boom Brothers slot, Major Millions slot and Crime Scene slot. The table game selection at Interwetten makes it the hot spot for any table game fan. Read on to find out about Live table games, but if you are more into virtual table games, there will certainly be a lot for you offered at Interwetten. Enjoy a number of games like Baccarat, Blackjack, Roulette, Hi-Lo, Oasis Poker and Let It Ride, to name a few. A decent number of video poker titles are there as well, including All American Poker, Deuces Wild, Jacks or Better and Joker Wild. Explore the ‘Casino’ department for yourself and see what else is in store. In the ‘Other games’ section, you will find some nifty titles like the newly added Football Studio and Dragon Tiger, as well as the exciting Dreamcatcher. Interwetten Casino rocks its own studio software that caters for its Live Casino games. The games are broadcast live and in real time, and you get to play against a real dealer and try your luck as if you were in a land-based casino. The live games department is actually divided into two parts – Premium Live Casino and Diamond Live Casino. The former offers Auto Roulette, Blackjack and Roulette HD tables, including high and low table limits, whilst the latter caters for the needs of Baccarat, Poker and Roulette lovers. Dreamcatcher comes along so you can spin the wheel if you are feeling adventurous. Are you brave enough to let your adrenaline levels rise so high? Payment-wise, Interwetten Casino has secured your convenient gambling. An ample selection of banking methods will put you at ease and facilitate your money transfers to the max. There is an incredible lineup of methods that you can choose from when depositing money. Those are: ClickandBuy, Maestro, MasterCard, Neteller, Paysafe Card, Ukash, Visa, GiroPay, EPS, Diners Club International, Online Bank Transfer, and Skrill. When withdrawing, the selection is slightly smaller, with Bank Wire Transfer, ClickandBuy, Neteller, Ukash, Visa, and Skrill currently available. Incredibly, Interwetten Casino allows you to opt for a massive variety of currencies, spreading the global connection. Currently accepted are all of the following: Czech Republic korunas, Euros, Hungarian forints, Norwegian kroner, Polish zlotys, British pounds sterling, Singapore dollars, Swedish kronor, Swiss francs, US dollars, Romanian lei, and Denmark kroner. Interwetten Casino proudly claims that its service team is available around the clock and more than happy to help you anytime. All of the communication options available you will find in the ‘Contact’ section on the homepage. The most popular one is the fill-in form available directly from the website for extra convenience. Alternatively, you can send them an email to [email protected] or give them a ring anytime. you can even choose from several numbers that you will find on the same page. The agents are fluent in a few languages, so the internationality is guaranteed, as the casino’s name promises. Many a client has praised the efficiency and friendliness of the team’s agents, so go ahead and give them a call if you are up for some good-natured chat.